SETEX weaves, knits and finishes textiles of the highest quality, guaranteed – driven by passion and tradition. We meet all the needs of our customers and help them to achieve long-term success with customized products and individual solutions. We will also realize your requests with a lot of creativity and innovation. Because: your textiles are our passion! As the only German manufacturer of woven and knitted fabrics, we provide you with an incomparable product in the form of our mattress cover materials, which will give you huge competitive advantages. 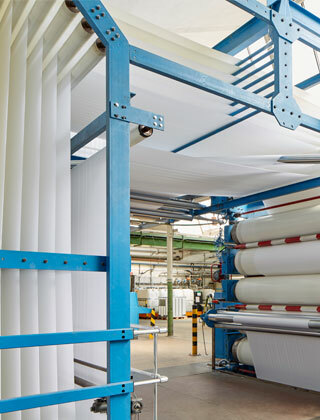 Our state-of-the-art equipment and product development systems allow us to respond extremely flexibly and spontaneously to customer requests and to produce customized combinations made from woven and knitted cover fabrics. With SETEX, you are putting your trust in a highly creative partner that recognizes and pinpoints trends. 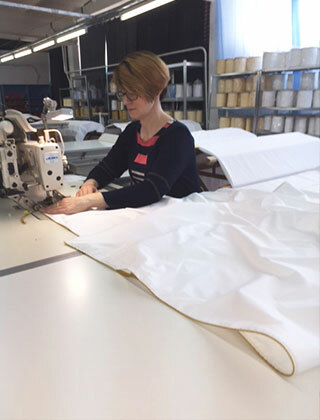 This is how we realize unique concepts for you while supporting the entire production process as a passionate textile manufacturer – from the initial brainstorming to the mattress cover material’s market success. You can look forward to friendly, competent contacts who will respond quickly to your requests. You will also benefit from our reliable, flexible delivery service. 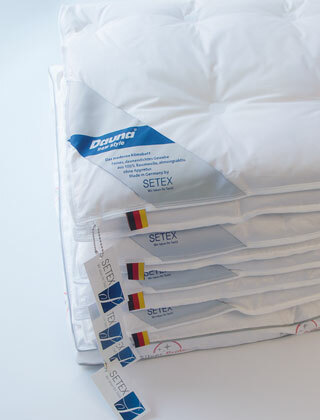 SETEX mattress cover materials are of excellent “Made in Germany” quality and have an outstanding value for money. This is something you can rely on, just as much as our sustainable production processes. We use raw materials that are produced in harmony with nature and processed in a way that is environmentally friendly. On the following pages, you will find more information about our product areas: feel well, sleep smart and relax green. 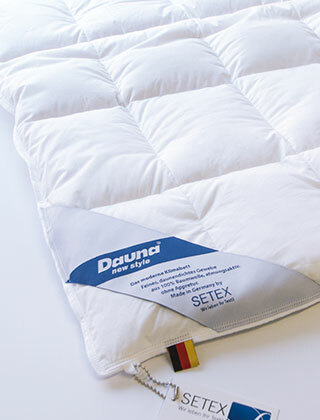 SETEX is a member of the German Mattress Industry Association (Fachverband Matratzen-Industrie e.V.). We have been manufacturers of down-proof ticking fabrics for over 100 years. At our locations, we finish and manufacture piece goods and covers by utilizing our experience and strength of innovation. Whether our customers are looking for standard covers or customized cover varieties – we are always the right port of call. In particular, it is the excellent quality of our products’ finishings and feel that make the SETEX passion for textiles tangible and visible. 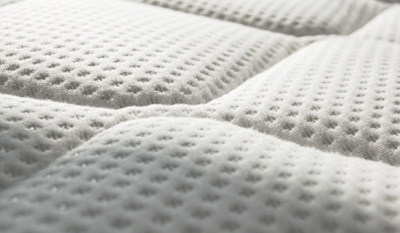 Our goal is to guarantee your customers the best possible, unique sleeping comfort with our products. The foundation of our fabrics is our outstanding expertise in fabric treatments and state-of-the-art manufacturing capabilities. All of this contributes to the extraordinary quality of SETEX ticking products. 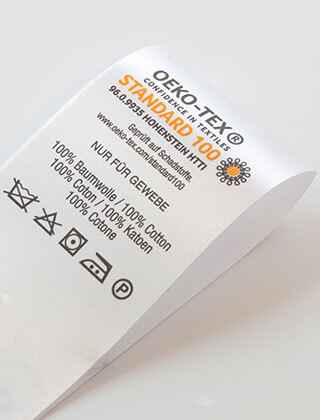 Moreover, each product has received the OEKO-TEX STANDARD 100 seal of environmental quality. As a responsible partner, we provide you with reliable service from the moment we receive your order right up until delivery. The 40 elastic baffle walls (no tearing) ensure that the filling is evenly distributed, guaranteeing a constant temperature and pleasant sleeping conditions. A combination of a box-stitch and ring-stitch construction for an especially summery-light cover. 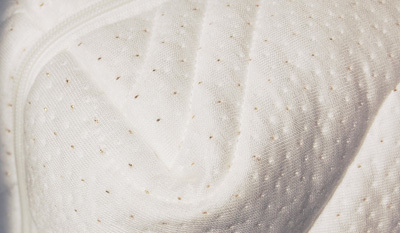 With 66 ring-stitches and 5 box-stitch seams, the filling remains absolutely constant and provides for the highest level of light-weight sleeping comfort. 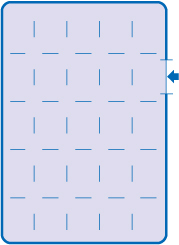 A light duvet with 24 boxes. 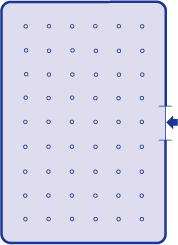 The internal baffle-box construction distributes the filling evenly and fixes it. 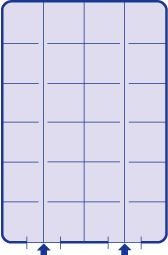 This cover can only be filled using a special filling tube. 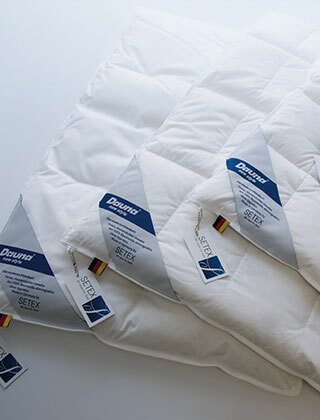 The filling in this super light, cozy down duvet is fixed particularly securely by 82 short baffle walls. 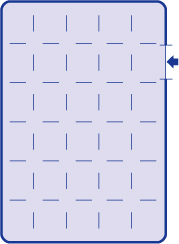 The continuous, horizontally arranged baffle walls form sealed boxes and the short baffles that have been worked in lengthwise ensure that the filling remains where it is supposed to be. Choice of baffle heights: 4 cm and 8 cm. A light, cuddly duvet with 2-cm baffle walls. The continuous vertical and horizontal baffle walls prevent the filling from shifting. The classic duvet for the tradition-conscious customer. 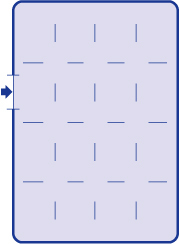 The integrated 24-baffle-wall system means that the filling does not shift easily. 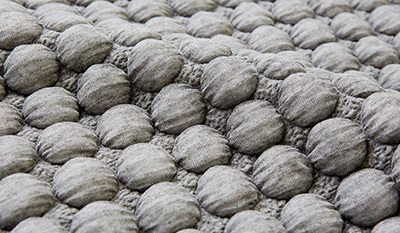 This blanket has 99 ring-stitches and its small amount of filling makes it a light summer duvet. “As you make your bed, so you must lie on it.“ This saying underscores our everyday commitment to achieving the optimum level of quality, product development and service. Do you have a special textile request? We will help you to break new, innovative ground. Please get in contact with us!